Call it what it is, this is Banana Republic stuff. Enough already. No more benefit of the doubt. Take as long as possible, and use every legal means possible, to release as little damaging information as possible. Translation: Protect the president as much as possible. Interest in the American public actually seeing anything meaningful in the Mueller Report? As little as possible. No matter that this pleasant avuncular fellow looks and talks more like a respectable attorney than a fixer. Don’t be fooled: The fix is in. Consider his actions over the past three weeks. He’s put a chokehold on Mueller-related information. In his measured lawyerly tones he’s promised everything and delivered nothing. Following are four reasons why I have no confidence there will be much of anything meaningful in his redacted version of the Mueller Report. His original four-page summary. This was a carefully crafted and misleading document designed to shape public perceptions, and place the president in the most favorable possible light. This was all about management, devious though it may be: managing the message, and attempting to manage public opinion. His decision to exonerate the president for obstruction. Barr arrogated a decision that should never have been his, given the enormity of the stakes, rather than let the examination of facts, discussion and decision go to Congress, as Mr. Mueller doubtless originally intended. Stonewalling Congress. He’s persistently refused to let the full report go to Congressional leadership, despite their numerous requests for it. Redacting more rather than less. Barr says he wants transparency but far more important than what he says is what he does. He’s spent weeks now completing the broadest possible universe of redactions, removing both grand-jury-related material as well as the especially unclear vague references to “peripheral third parties.” The more latitude he has to redact, the more latitude he has to protect the president. The less the public will know what’s in the full report. This is all part of a consistent pattern designed to minimize the release of damaging information. One would hope that the highest law enforcement officer in the land would be more of an honest broker than a spin doctor, but clearly in these hyper-partisan times that’s too much to hope for. As I’ve noted previously in this space, I’m a registered political Independent, not a Democrat, and no fan of Bill, Hillary and Obamacare. But I am a fan of transparency and finding out what actually happened in this investigation – and this is a strange way to conclude the most consequential political inquiry in decades. As an interested citizen, and like many interested citizens, I’d like to know exactly what’s in the Mueller Report. Not have an ideologue masquerading as an impartial attorney general tell me what he wants me to know. Call it what it is, this is Banana Republic stuff. Think about it: The president wanted an attorney general who would protect him. Barr “auditions” for the job with his now-famous 19-page memo. He then proceeds to become judge, jury and evidence keeper, while maintaining a respectable legal facade. Despite this veneer of objectivity, I believe our attorney general is neither unbiased nor operating in good faith. Unless someone involved in the investigation leaks the actual Mueller Report (an increasing possibility, given the byzantine way this is unfolding), Democrats should take the gloves off and use every legal means at their disposal to get the document in its entirety. What other options are available? Welcome to tribalism, 2019 style. The Barr cover-up. Call it what it is. which can be incredibly detrimental. Posted in American Politics, Character and Integrity, Civil Rights, Democracy, Donald J Trump, Leadership, Liberalism and Open Society, Mueller Report, Public Accountability, Rule of Law, Trumpianism, US Presidency. 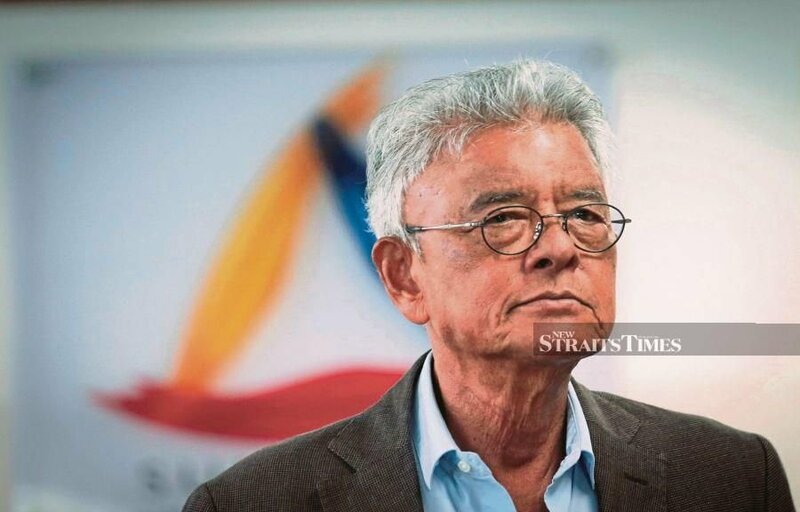 17 Apr 2019 / 18:22 H.
IT is regrettable that Tan Sri Razali Ismail has resigned as chairman of Suhakam a fortnight before the end of his tenure. Razali’s stellar performance in Suhakam is notable as he brought new fervour, feistiness and fame to the human rights cause. Together with his other commissioners he was unstinting and outstanding in championing the cause of human rights in a most repressive environment under the previous government. Suhakam was also constrained by a much reduced operating budget and yet it did perform well. 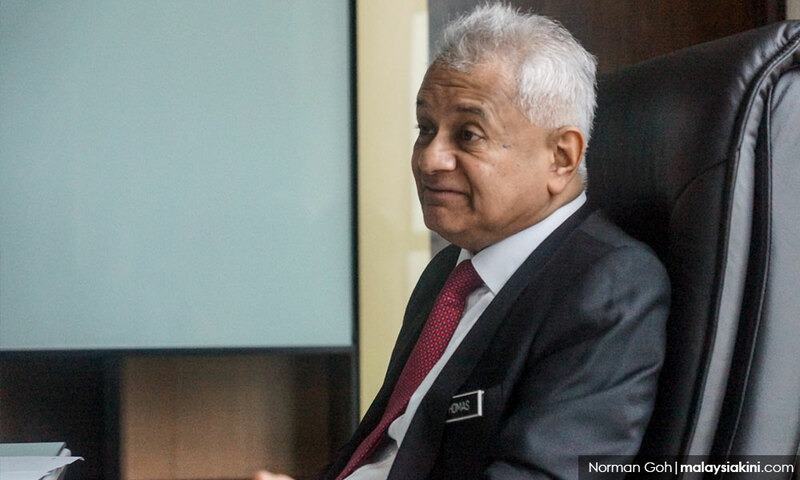 When the dates for GE-14 were announced, it will be recalled Suhakam more than the Election Commission was determined to ensure that the elections allowed the Opposition to have the space essential to campaign. 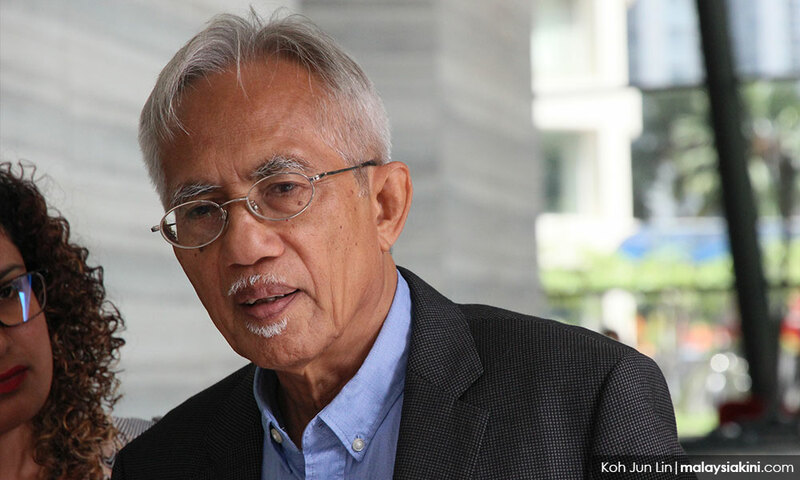 Razali was prescient in predicting that the Opposition had a fair chance in that election. To learn from press reports that he has resigned in a flash is most disturbing. For a man who had served in a public service capacity with dedication and distinction for more than five and a half decades I believe Razali is not being treated fairly. It is open to speculation that a fortnight before his tenure ended he had not been told about a possible successor. Neither had he received communication from the appropriate authority expressing appreciation for his services. It has to be presumed that on account of these factors he decided to resign and relinquish his chairmanship. He added a nice parting shot that his resignation would give the government more time to identify his successor. In the absence of any additional information from an authoritative source this whole episode becomes a subject for unnecessary speculation. The chairmanship of Suhakam is one of the nation’s most critical appointments especially at this juncture in the new Malaysia that we all are attempting to build. Razali, given his background in multilateral and bilateral diplomacy was a perfect fit for the task. 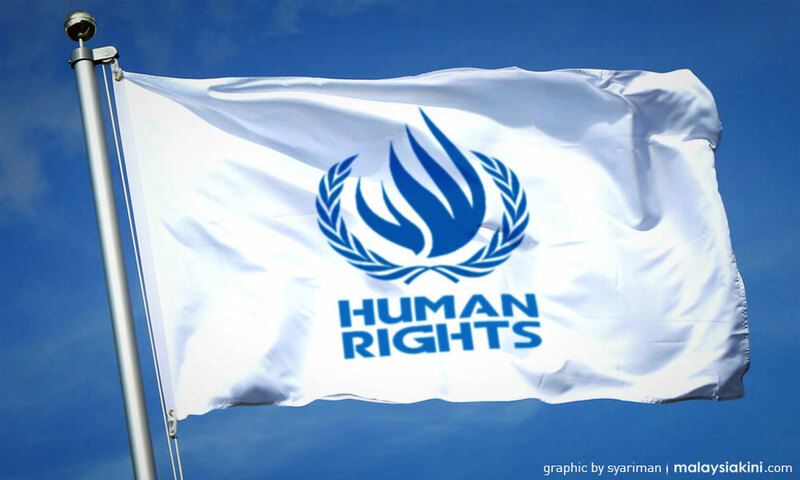 The current crop of Suhakam commissioners put Malaysia in the world’s human rights map. This new government may have instituted new procedures including possibly vetting by the security and anti-corruption agencies before nominating someone. If that is the case Razali should have been notified early, at least three months before the end of his tenure. It does not reflect well on the government that these matters involving key functionaries are not being properly handled. Posted in Character and Integrity, Democracy, Human Rights, Leadership, Liberalism and Open Society, Malaysian Civil Service/Foreign Service, Meritocracy and Competence, Myanmar, Professionalism, Public Accountability, Public Service, Rohingya Refugees, Rule of Law, Saifuddin Abdullah. 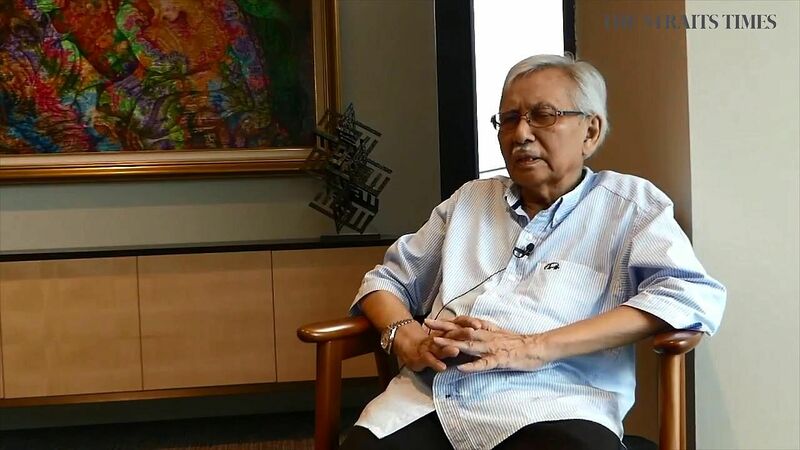 Daim Zainuddin has advised the government not to take people for granted and treat them like idiots. “I have real faith in people, they are smarter than you think. If you are honest with them, they will understand. Do not take the rakyat for granted. People don’t like it if you treat them like idiots,” he said in an interview. Even if we already know this, statements like this, coming from Daim who is close to the centre of power, do not help Pakatan Harapan’s (PH) image. 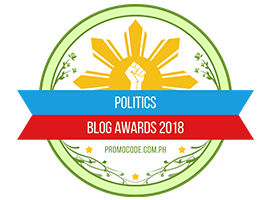 Disgruntled voters are saying in derogatory terms that the PH government is a one-term government. The honeymoon is long over and the feel-good factor is disappearing over the horizon. 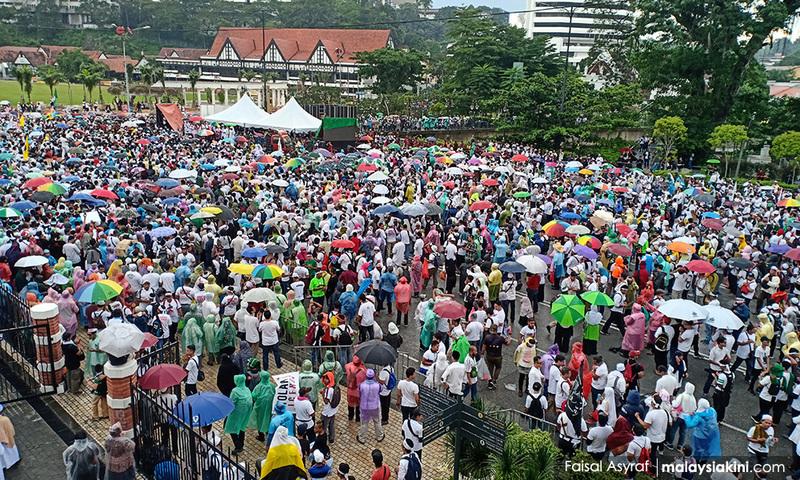 If people power could boot out decades of Barisan Nasional (BN) rule, it can do the same with the current government in the next general election. People now know that they can change governments by the collective power of their votes. The BN government was good at treating people like village idiots. The blue water tanks gift is a good example. In the last two elections, thousands of blue water tanks were distributed to rural areas in Sabah and Sarawak. The blue water tanks were synonymous with BN rule. Plastic tanks do not deteriorate and the kampung folk who were given the blue water tanks in GE-13 received the same in GE-14. What the people wanted was clean piped water and good roads, not another round of blue water tanks with a BN logo. Whenever you see huge truckloads heading for the rural areas, you know it’s election time. While there are thousands of examples of BN’s arrogance and treating people like idiots, the same is being repeated by the PH government. Idiocy has reached a dangerous level in Malaysian elections. Electoral watchdog Bersih 2.0 has called upon the Malaysian Anti-Corruption Commission (MACC) to investigate former Melaka chief minister Idris Haron for allegedly committing an election offence during the current Rantau by-election campaign. Bersih said Idris’ promise to sponsor two goats for a feast in Taman Angsamas in the Angsamas polling district during a ceramah was tantamount to bribery. The poor goats are now being used for election bribery. For Arians like me, it’s the greatest insult. The goat is the eighth in the 12-year cycle of the Chinese system. People born in a year of the goat are generally believed to be gentle, mild-mannered, shy, stable, sympathetic, amicable, and brimming with a strong sense of kindheartedness and justice. Being made the sacrificial lamb in a by-election is the greatest insult to the goat’s reputation. Have we not “goat” better things to say and do? Does the constituency not have any real issues such as the need for better schools or more jobs? You are not talking about hundreds of goats for the slaughter, but two. Are we bankrupt of ideas? The voters deserve better. If it’s not about a goat, it’s about race and religion. The goat was a short respite in an idiotic race to the finishing post. PKR president Anwar Ibrahim has expressed hope that Rantau voters will not let Dr S Streram Sinnasamy’s race be an issue in the coming by-election and that they will see him for the work he has done. “Why are we shunning him just because he is an Indian?” asked Anwar before reminding voters of all the good work he had done for the people. So now the election boils down to an Indian and two goats. In an idiot’s narrative, the story ends when humans devour the goat in a celebratory feast. But is that the end of the story? It was reported that former prime minister Najib Razak has been slapped with an extra tax bill of around RM1.5 billion by the Inland Revenue Board (LHDN). A financial daily quoted sources which said that a letter was sent to Najib by LHDN over backdated tax amount for the years 2011 to 2017. LHDN’s investigation assessment showed that Najib had not declared taxable income of close to RM4 billion for the period. Why is Najib not the main by-election issue? Why is “Bossku” still roaming freely? Parliament is not spared the Malaysian idiocy. 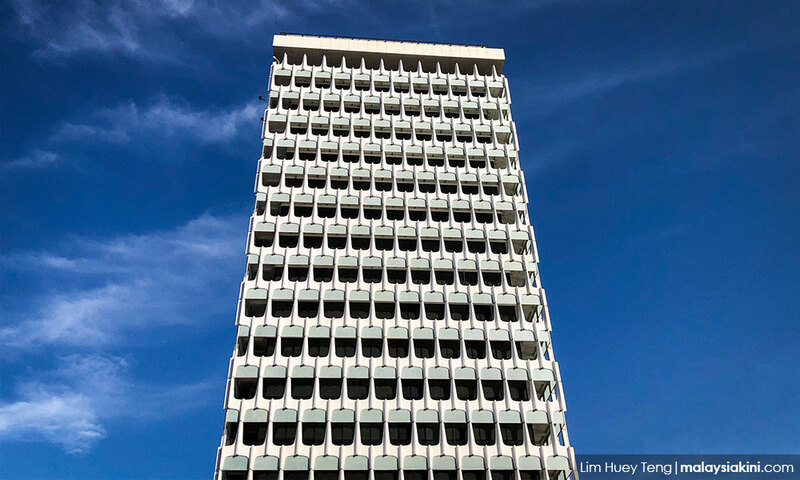 Recently, the entire opposition staged a walkout after a heated shouting match during Finance Minister Lim Guan Eng’s winding-up speech in the second reading of the Supplementary Supply Bill 2019. 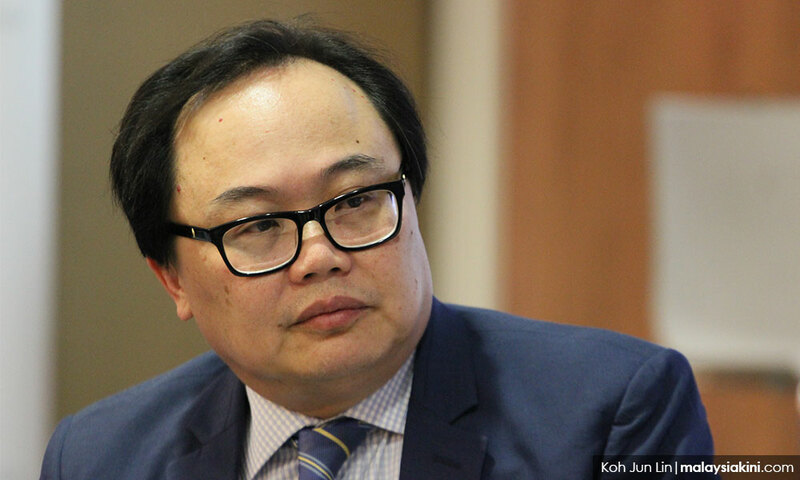 The walkout was triggered after a shouting match between the opposition, the finance minister and government backbenchers, after Pengkalan Chepa MP Ahmad Marzuk Shaary (PAS) called Lim “pondan”. The Malaysian narrative has expanded to an Indian doctor, two goats and “pondan”. Labelling someone as “pondan” or LGBT could have serious consequences if Lim were to visit shariah-compliant nations such as Brunei. But our tourism minister saved the day for Lim. According to media reports, Mohamaddin Ketapi denied the existence of LGBT people in the country. Ahead of attending the ITB Berlin travel fair, he told German reporters that he wasn’t aware of LGBT people in Muslim-majority Malaysia. Yes, we are all being treated like idiots. Could it be that we elected idiots to represent us in the first place? The views expressed are those of the writer and do not necessarily reflect those of FMT. Posted in Anwar Ibrahim, Character and Integrity, Corruption, Daim Zainuddin, Democracy, Education, Finance Minister L Guan Eng, FreeMalaysiaToday, GE-14 Elections, Governance, Human Rights, Inspector-General of Police, Leadership, Liberalism and Open Society, Malaysia, Malaysians, Monarchy, Moral Capitalism, Pakatan Harapan, Parti Pribumi Bersatu Malaysia, PAS, PKR, Politics, Public Accountability, Rule of Law, Uncategorized. Malaysians are watching the ongoing thriller between Prime Minister Dr Mahathir Mohamad and the Johor palace with nail-biting suspense. But those expecting an explosive climax could be disappointed, according to political analyst James Chin. While acknowledging that most Malaysians agreed with Mahathir on the role of a constitutional monarchy, he does not foresee the current friction leading to a similar episode which rocked the nation in the 1990s when Mahathir, during his first tenure as premier, trained his guns on the rulers. According to the University of Tasmania’s Asia Institute director, times have changed. “We are living in the social media age. Back then, BN could control the narratives by the mainstream media like newspapers and television. Now, (the government) can no longer do this,” he told Malaysiakini. Chin’s point is illustrated by the fact that the Johor crown prince Tunku Ismail Sultan Ibrahim himself is using social media platforms like Twitter and Facebook to lock horns with the prime minister with regard to the Rome Statute, Ship-to-Ship (STS) hub and the appointment of the menteri besar. During Mahathir’s previous confrontation with the monarchs, the government-controlled media had launched an all-out offensive, detailing the rulers’ lavish lifestyles and how much the government spent on them. Meanwhile, Chin also expected the police to crack down on those making hard-hitting comments regarding the ongoing tussle on social media. “There are a lot of people out there who think they can speak like Mahathir. But they cannot get away with it. The only non-royal who can say anything is Mahathir,” he said. 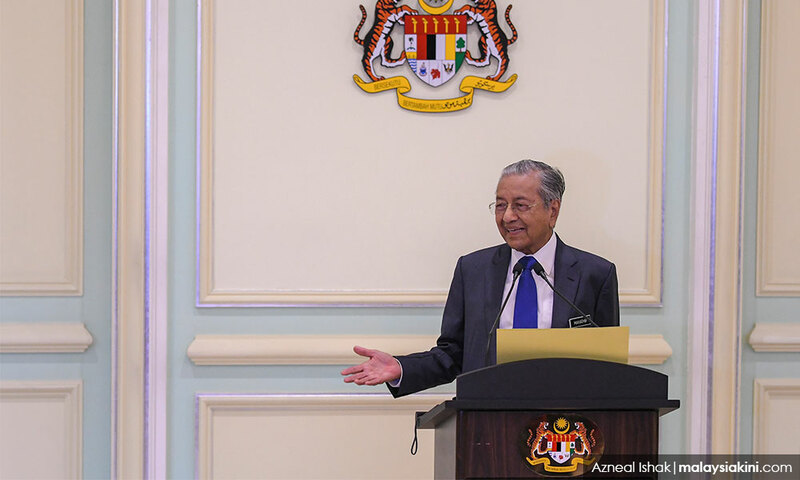 Certain quarters have also accused Mahathir of exploiting the issue to cement his grip on power, especially in the wake of intense criticism against his administration over its reversals and unpopular decisions. 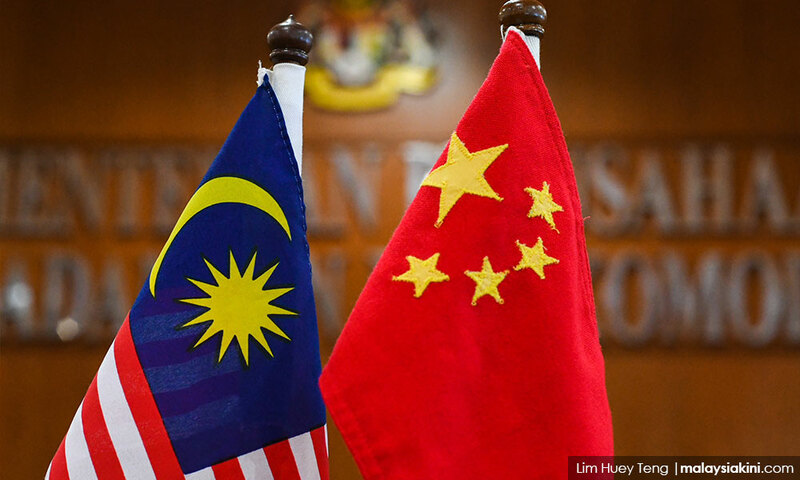 However, Chin does not believe this is the case and pointed out that Mahathir was just being himself by responding to media queries which other politicians would sidestep. “If you follow the timeline, in all cases, Mahathir was answering reporters’ questions (regarding his differences with the palace). “The bottom line is most sultans want to appoint their menteri besar. There was the same problem during BN’s time. But (former premier) Najib (Abdul Razak) did not want to confront (the rulers). “Mahathir is different. When a reporter asks him about this, he replies,” added the analyst. Chin is also convinced that Mahathir and the Johor palace would reach a compromise on the menteri besar position. “Of course,” he replied when quizzed on this. “Dont forget, the menteri besar becomes menteri besar only if he is sworn in by the sultan. So the system will force them to compromise,” he added. The Johor menteri besar post fell vacant after Bersatu’s Osman Sapian resigned on Monday. The verbal jousting between Mahathir and the Johor palace erupted after Tunku Ismail tweeted that it is the sultan’s prerogative to appoint the menteri besar. 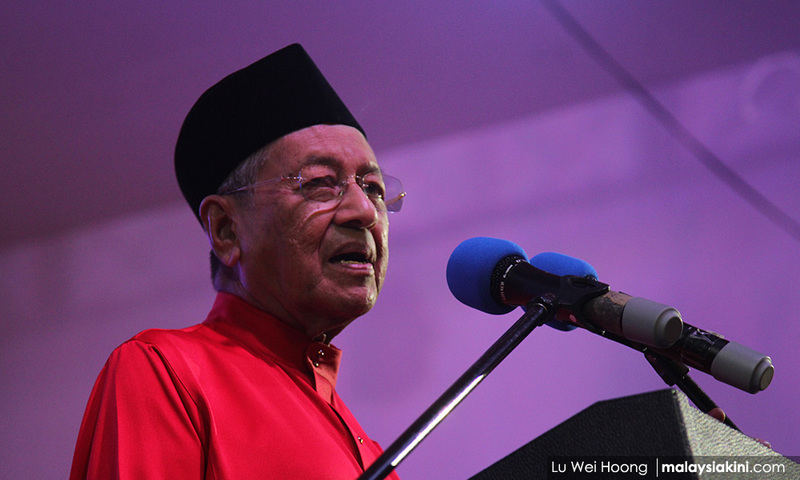 Mahathir, however, argued that if the rulers are allowed to decide on who becomes the prime minister or menteri besar, Malaysia would not be a democratic nation. Meanwhile, Unisel’s communication lecturer Ismail Hashim Yahya questioned if Osman is a victim of a tug-of-war between certain parties in Johor. In an article penned for Malaysiakini, he also focused on the drama surrounding the incoming menteri besar. 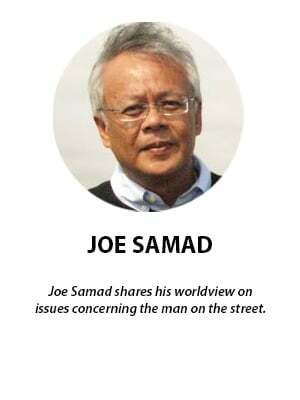 “The political tussle is not between the candidates of different parties but rather between the influence of Mahathir, (PKR president) Anwar Ibrahim and the palace. “If there are elements… to safeguard certain interests or if a game of chess is being played behind the scenes, then it is no longer a rational consideration for the rakyat but a desire to take over,” he added. 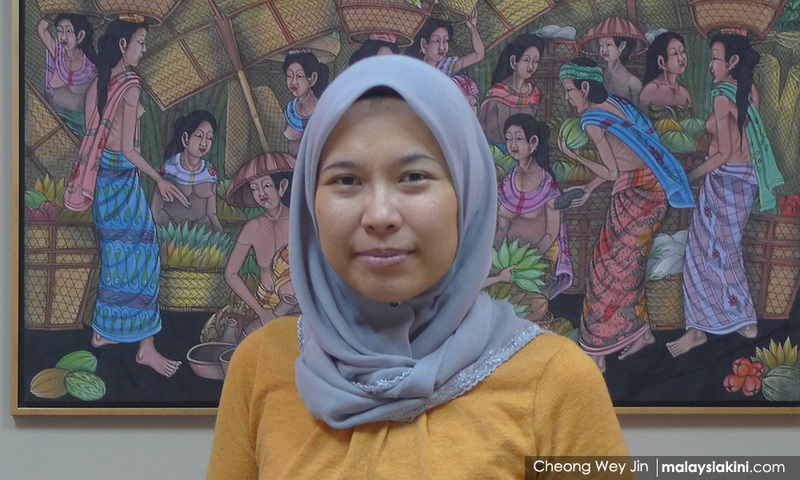 Posted in Anwar Ibrahim, civil society issues, Democracy, Leadership, Malaysiakini, Monarchy, Pakatan Harapan, Politics, Public Accountability, Rule of Law, The Consitution, The Malays, Tun Dr. Mahathir Mohamad, Uncategorized. COMMENT | Long live the Rome Statute! Long live Idiocy! What kind of government and society shall we be? From a cashless society we want to be a moral-less society, in a world plagued with genocide and the disease of violent ideologies. The Pakatan Harapan government’s U-turns on the International Convention on the Elimination of Racism and Discrimination (ICERD) and now the Rome Statute signify our entry in our own Age of Mass Ignorance. If opposing war, genocide, crimes against humanity is opposed, we have a government that needs to be deposed. In Malaysia, will all the rallies against Israeli atrocities, Rohingya massacres, & bombing of churches & mosques be banned? Seems that the more we want to have flying cars and a cashless society, the more we show ignorance on issues of war, aggression, and global morality. The Rome Statute is about stopping the rise of global fascism. What part of it does this PH government not understand? So shallow is our education system’s curriculum on race relations and global issues this idiocy on Rome Statute needs to be exposed? From a self-proclaimed Asian tiger roaring in the UN condemning aggression, we have become a country mouse dying of ignorance of crimes against humanity. Most ridiculous arguments on “threatening Malay rights” are used to justify the defence of our ignorance on global issues! They say ignorance is bliss. In Malaysia, on the Rome Statute issue, ignorance is blessed. Will our diplomats now abstain from voting on global aggressions, in order to respect the rights of kampong warriors? Insane! In matters of universal human rights and global peace, no race or nation should be stupefied by its own leaders and rulers. What are we teaching our children? That it’s OK to discriminate and to condone war crimes? I thought the “lawmakers” in the PH government are more globally conscious? Are they falling now into a deep state of unconsciousness? Committing to the principles of justice vis-a-viz international human rights in regards to the ICERD, the violation of human rights in Malaysia as in the recent missing person cases, and to the Rome Statute, is a no brainer. The most ridiculous logic we hear is that if you oppose war crimes, enforced disappearances, aggression, and genocide, your power as a national government will be challenged, and that the bangsa, agama, and negara will be in danger. There are principles crafted by the UN that are universal. There are those that are culturally-relative. But not the ICERD nor the Rome Statute. These are human principles that are meant to have us evolve into peaceful global citizens, by condemning mass murder and genocide. Bebalism or incurable idiocy is what’s governing the new consciousness when it comes to speaking up against human rights injustices. Why is Pakatan Harapan losing the very principles that attracted people to vote for them? Insincerity? Hypocrisy? Idiocy? As one who has been teaching global issues for years, it will be embarrassing to tell my students how idiotic Malaysia is. O’ Malays, revolt against any attempt by your leaders who attempt to spread ignorance and fear through issues of race and religion. Hitler mounted ridiculous arguments on race, crafting falsehood to turn it into truth, creating fascism, committing war crimes. Kingdoms that survive on the power of ignorance cannot last long, in an age wherein power and wealth are challenged and eventually get destroyed. The PH government seems to be surrendering to those wishing to see chaos take root. Did the people vote for cowardice? It has been my argument that education must address issues of polarization, class-based poverty, ecological destruction, and religious extremism. Utterly shameful and gutless it is for a country claiming to be progressive and a promoter of regional peace, and advocating the global principle of “prosper thy neighbor”. What does opposing genocide, enforced disappearances, aggression, and war got to do with challenging “agama, bangsa, negara?” Are we going mad now? A few leaders of the Pakatan said that those who criticized the prime minster and the PH government for pulling out of the Rome Statute are cowards who cannot be trusted. How is that logical? Is the withdrawal due to confusion? Or cowardice? Why allow the tantrum of one man to deny the expression of the people of a nation? It is a basic expression of opposing violence as a global community, aspiring to be cosmopolitan citizens rather than trapped in the prison-nation-state of communalism, post-industrialism, ghetto-ism, and kampong-ism, is it not? What must we do for the next generation to get out of this intellectual quagmire and the structuring of mass bebalisma? We must turn to education as the only means for a sustainable personal, social, and cultural progress. Governments, monarchy, and those in power via whatever ideology come and go. But education should set us free. Not the illusion of knowledge and wisdom. Not the installing of fear. These will not. They will turn the masses into people who continue to support leaders who are now on trial for corruption. Students need to be taught how to develop critical thinking and apply those skills in evaluating international systems, environmental issues, and human rights. We need to help them demonstrate the global dimensions of crucial contemporary issues, so that they could develop relational and rational thinking on how to study and think about global problems and relationships of war and conflict and how to address them and find peaceful solutions. The urgent educational agenda is also to focus on global issues and how human rights, political-economy, ecological destruction, issues of power, wealth, powerlessness are all inter-related contributors to war and peace. Students need to be taught to recognize the interdependence of the individual and the community in creating the challenges and opportunities in a global society through the examination of sustainability, human rights and peace and conflict. This is necessary so that when they become leaders and rulers, they will not be ridiculous, and not become people with money and power, but with no soul and morals. Right now, this government is beginning to be a huge mess, unable to stand for the very basic principles of human rights, bowing down to some ridiculous tantrum not worth entertaining. What in the name of global sanity did Malaysians vote for? AZLY RAHMAN is an educator, academic, international columnist, and author of seven books available here. He holds a doctorate in international education development and Master’s degrees in six areas: education, international affairs, peace studies communication, fiction and non-fiction writing. He is a member of the Kappa Delta Pi International Honour Society in Education. Twitter @azlyrahman. More writings here. Posted in Anwar Ibrahim, Azly Rahman, Character and Integrity, Civil Rights, Critical Thinking, Democracy, Education, Governance, Human Rights, ketuanan melayu, Law and Order, Leadership, Liberalism and Open Society, Liberty, Mahathir, Malay Fascists, Malaysia, Malaysiakini, National Unity, Pakatan Harapan, Parti Pribumi Bersatu Malaysia, Peace, Peace and Development--The ASEAN Way, Political Islam, Politics, Public Accountability, Public Policy, Race Relations, Racial Discrimination, Racism, Rule of Law, The Malay Agenda, The Malays, Tribalism.